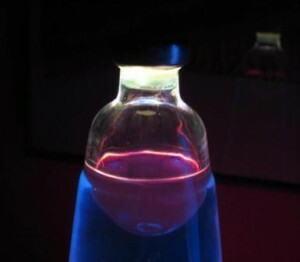 If you are looking for some fun science experiments for kids you just found them! In this post, you have some great ideas to make simple and fun science experiences with your kids at home. It’s a perfect way to introduce science knowledge to your little one! 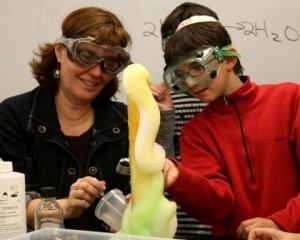 Isn’t it fun doing some science experiments with kids? Of course, it is! Apart from having fun, it helps your kids acquiring knowledge, and most important children will be more disposable to learn new things. So grab a pencil and let’s start a discovery tour! Fill a glass about 3/4 with water and if you want you can add some food colouring on it (red is perfect to create lava look!). Slowly add 1/4 cup of vegetable oil in the water and then a teaspoon of salt on top of the vegetable oil. Now you will see blobs of lava moving up and down just like a lava lamp! To keep the effect going you just need to add more salt on top of it. This experiment is perfect for kids to understand the density of ingredients and how it works. In this case, the oil floats because it is lighter than the water. However the salt is heavier than oil, and when you sprinkle it on top of oil, it sinks down taking some oil with it. When the salt dissolves in the water, the oil goes back up! Did you like it? Let’s see some more fun science experiments for kids! Fill a small, clean, plastic soda bottle up with one inch of warm water. Add a packet of yeast on it and slowly swirl the bottle just a few seconds. Then add a teaspoon of sugar and swirl it again. 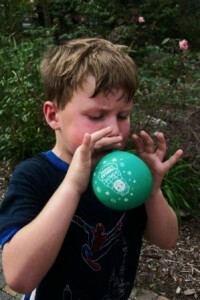 Place a small balloon over the neck of the bottle and let it sit in a warm place for 20 minutes. And that’s it. Your balloon will inflate by itself! It happens because yeast “eats” the sugar and releases carbon dioxide that will fill the bottle and then the balloon too. First of all, you need to choose a safe place to do this (in the garden would be perfect but you can do this in your kitchen sink too). Put 1/4 cup of warm water into the bag and the half cup of vinegar. Place 3 teaspoons of baking soda in the tissue and wrap it. Now the hardest part! Partially close the bag only leaving space to add tissue with baking soda. Put it into the bag and (please work fast now!) close completely the bag. Put it down and step back. You will see it starting to expand until the final explosion. The explosion happens because when baking soda and vinegar do mix it is created an Acid-Base reaction, and those two chemicals start creating carbon dioxide (of course it will need space, that’s why bag inflates and then BANG!). When you are frustrated at home doing the same things you always do with your kids, remember this post! Doing fun science experiments for kids, it’s a great way to make your day so much better!